Fiberglass fuse and balsa built -up wing. Wing Covering Material: Covering, painted, decals applied and clear coated. The aircraft has a beautiful flat, non-glossy finish. This is superior to glossy covering materials. It is scratch, tear and wrinkle resistant. The covering material is a brand name covering which has a special paint adherant layer. The covering goes on clear, and is then primed and painted, then clearcoated. Rotating retracts: including wheels, oleo struts and electric retract system. Incorporate all of the latest design improvements. The Hellcat was already in development by the time of the attack on Pearl Harbour, but subsequent air battles revealed that the need for a replacement for the Wildcat was urgent. The A6M Zero could out turn and out climb the Wildcat. The only advantages the Wildcat had were the ability to absorb more damage, heavier armament and the ability to dive faster. Building on these existing advantages, the engineers at Grumman sought to build an aircraft which would outclass the Zero in every category. Besides the combat capabilities, the Hellcat was also easy to produce and maintain, making it a perfect wartime aircraft. The first production versions were activated for combat duty in February 1943, and began to see combat in September. The first major engagement was over Rabaul on 11 November 1943, they ed with F4U Corsairs in a day long dogfight with Zeros, scoring nearly 50 kills. Over Tarawa atoll on 23 November 1943, they scored 30 kills for one loss. From that point on, the Hellcat saw combat in virtually every action in the Pacific theatre, including the Battle of the Phillipine sea, which the pilots nicknamed the 'Great Marianas Turkey Shoot'. The F6F aced for 75% of aerial kills in the pacific theatre. By the end of the war there were 350 Hellcat aces, though this can be attributed as much to the inexperience of Japanese pilots as to the skill of Hellcat pilots, or the capability of the airframe. The Hellcat also saw service with the Royal Navy, who recieved over 1200 as part of the lend lease act. The aircraft saw duty against Messerscht's and FW-190's in this context and proved itself very capable in that role. After the war the Hellcat saw use by the French Navy who used it in the French-IndoChina war, and the Uruguayan navy used the Hellcat into the 1960's. 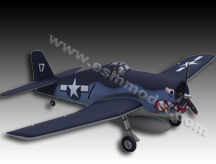 In the US Navy the Hellcat was replaced by the F8F Bearcat. 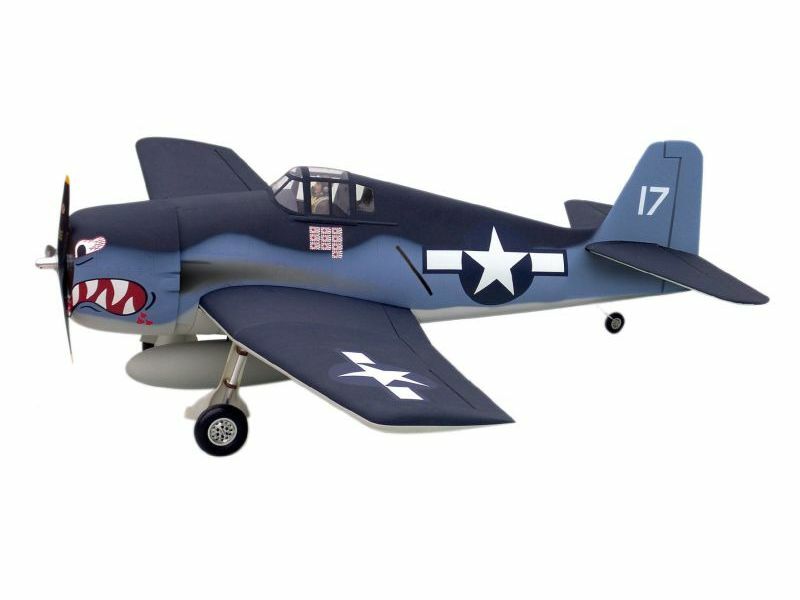 This model is based on an aircraft from VF-27, operating from the USS Princeton in October 1944 during the Great Marianas Turkey Shoot. 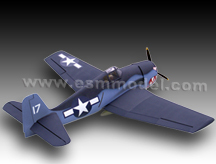 It was flown by Rid Stambook, who claimed 10 kills in his F6F-3 Hellcat.